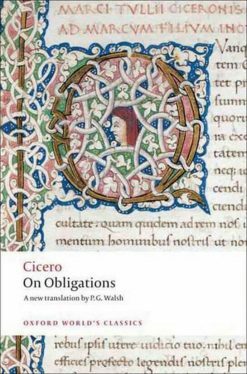 Cicero was a man trying to give the politicians of his day solid principles to live by as they drove his fatherland, Rome, down the royal road of decay. His work On Obligations played a large role in Western Christendom but is daunting to read alone. Let us accompany your highschooler as he learns the principles of justice, wisdom, beneficence, courage, and propriety. 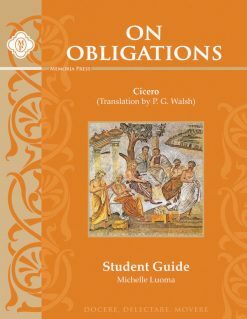 On Obligations (De Officiis) was written by Cicero in the late 44 BC after the assasination of Julius Caesar to provide principles of behaviour for aspiring politicians. It explores the apparent tension between honourable conduct and expediency in public life, and the right and wrong ways of attaining political leadership. 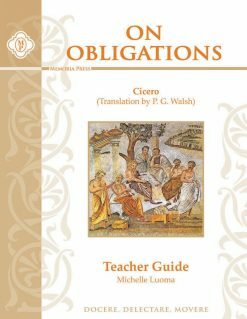 The principles of honourable behaviour are based on the Stoic virtues of wisdom, justice, magnanimity, and propriety; in Cicero’s view the intrinsically useful is always identical to the honourable. 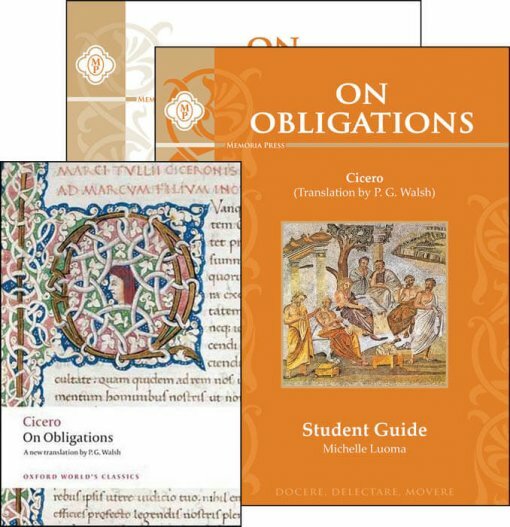 The Set includes On Obligations by Cicero, the Student Guide by Memoria Press, and the Teacher Guide by Memoria Press.